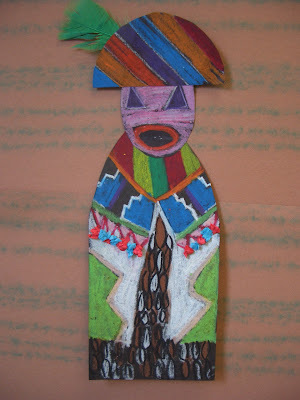 I've always found Kachina dolls to be a fascinating artifact of the Pueblo, Hopi and Zuni Indian tribes. 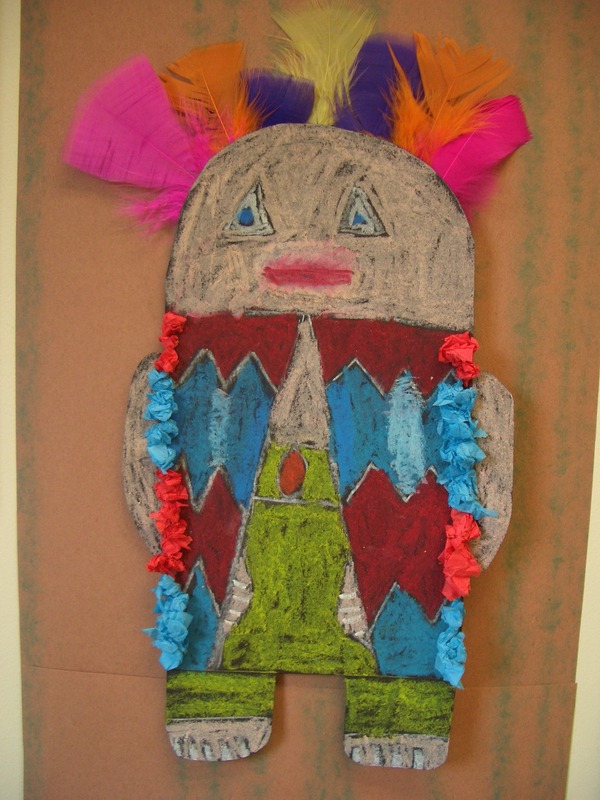 We learned that the dolls symbolized ancestral spirits which acted as intermediaries between humans and God. 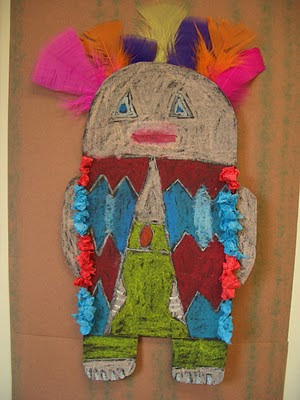 Children of the tribes were the recipients of these dolls during festivals and or dances. 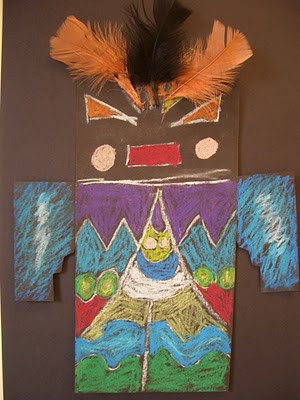 Their costumes are bold and bright with many geometric shapes and interesting patterns. My fifth grade students used black construction paper and while chalk to design their Kachina. 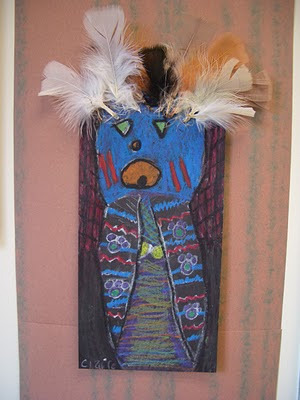 Oil pastels were used to fill in the shapes and spaces created by the lines and patterns. 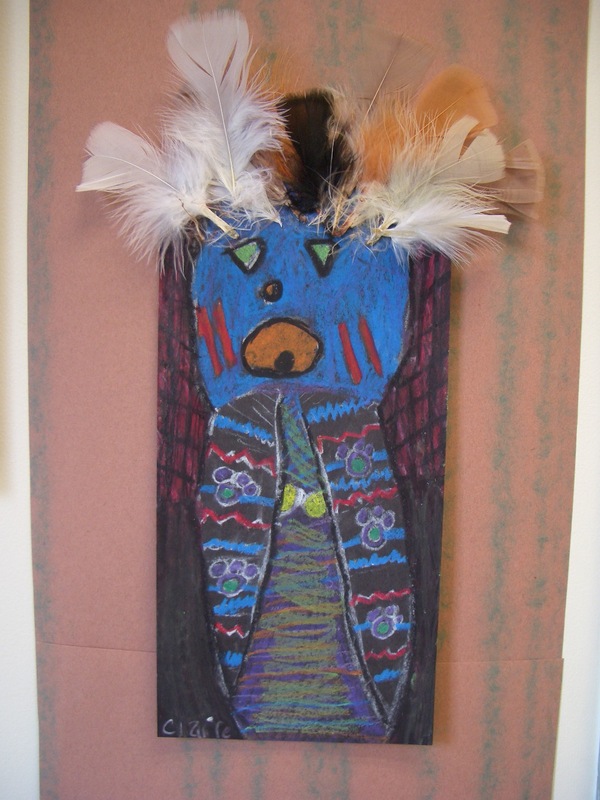 Some of the students chose to use feathers on the headdress. I was very pleased by the diversity of design achieved by the students. 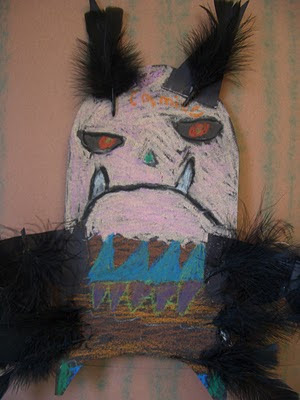 Thank you Britt. The students did rise to the occasion for this project!